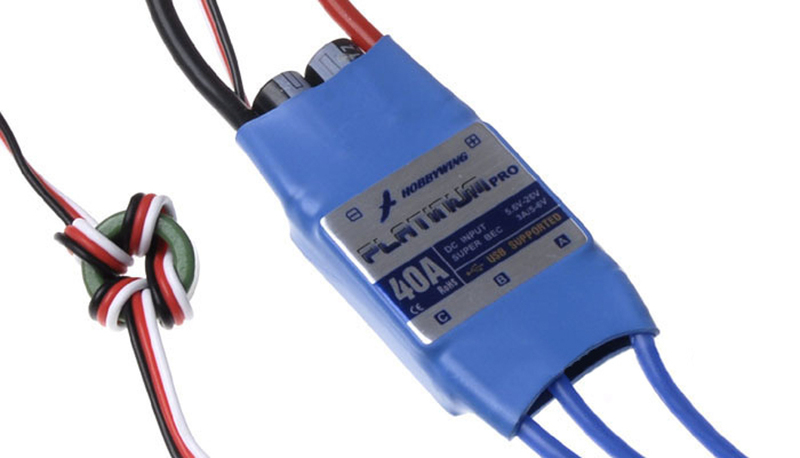 Platinum-40A-PRO ESC belongs to Hobbywing? ?s "Platinum" series products line, it is the most significant top-class product for aircraft and helicopter. 2.1 Output: Continuous 40A, burst 60A up to 10 seconds. 2.3 BEC: Switching mode DC-DC regulator. 3A@5.25V or 3A@6V switch able by user progromming. 2.6 Size: 59mm (L) * 27mm (W) * 12mm (H). 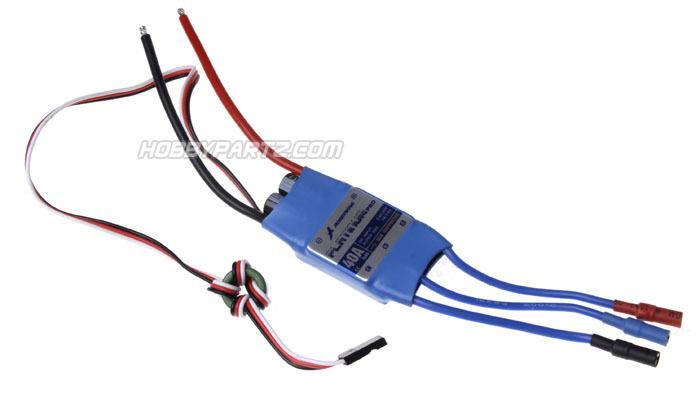 3.5 The output voltage of the built-in BEC is switch able by user programming (5.25V or 6.0V).